Both celebrating significant birthdays on the same day. Both like teals and aquas. Both are talented and creative women. Both have complained to me in the past that they can't find a paper pieced feather pattern that they like. Hmmm... what's a girl to do? 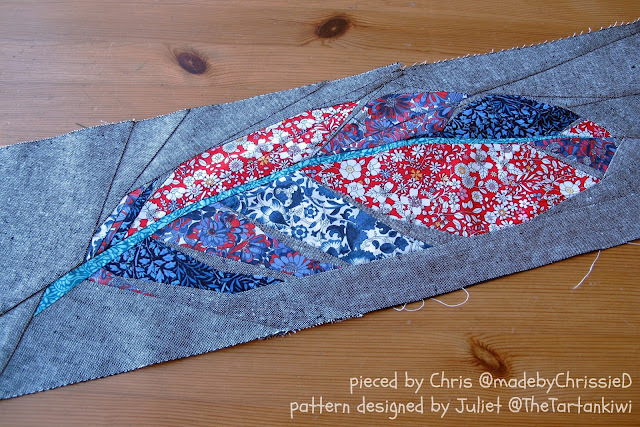 I must admit that I have been reluctant to design a feather pattern as there seem to be so many of them in the world already. That said, I also knew that a gift featuring a paper pieced feather would make a really thoughtful gift for them both. 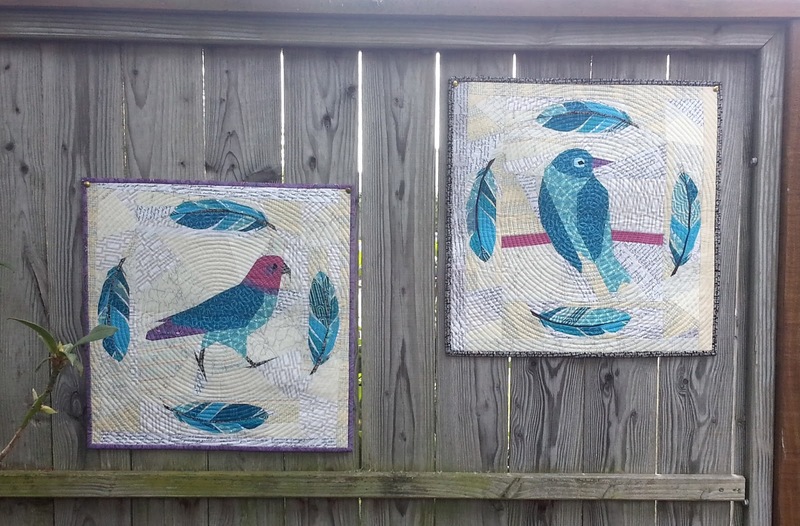 I caved and designed a feather pattern for these two talented and creative friends. They deserved it! 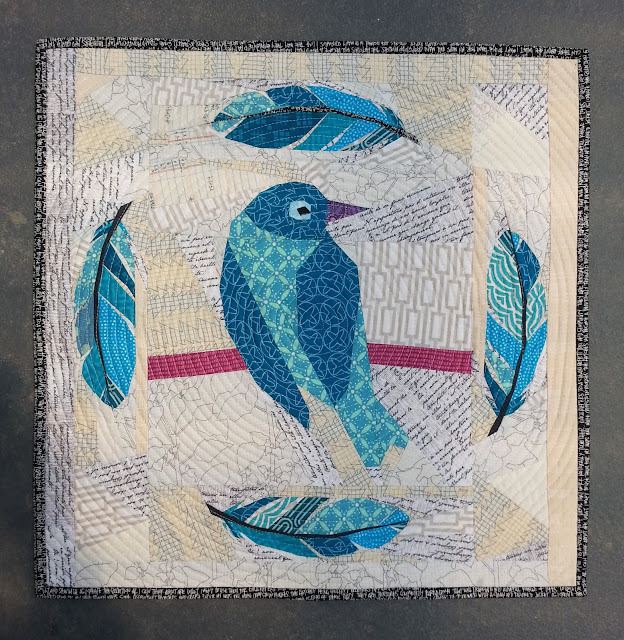 As usual, I wanted to put my own spin on the pattern, so I decided to make the feathers into a border for my mini quilt, not the subject. I had lots of fun revisiting old patterns and sewed scrappy Kea and a scrappy Silvereye in non-realistic colours. It really highlighted to me how much my sewing style has moved on in the years since those patterns were designed. I must admit that it felt a bit strange to sew something that was "only" 12 inch. My friends had better appreciate these mini quilts as I sewed a total of 8 feathers for them. Yup, me who hates repetitive sewing and hates small fiddly sewing. I suffered for my friends! The plan was to give these as mini quilts as presents and quietly forget about the pattern, but everyone who saw it, begged me to release it. I thought I'd better listen. As I said, the pattern is small, fiddly and not for the faint hearted. There are acute angles to join, some seams are bulky and removing papers is a real pain in the neck. It's definitely a pattern designed to put beginners off! I decided to be kind and provide the pattern in two sizes. You have a choice between sewing a 3"x12" feather and a 6"x 24" feather. 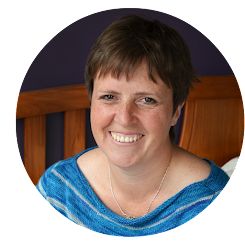 Of course you are welcome to alter the pattern size to suit whatever project you wish but I would not recommend going any smaller, or if you do then make sure to simplify it slightly. 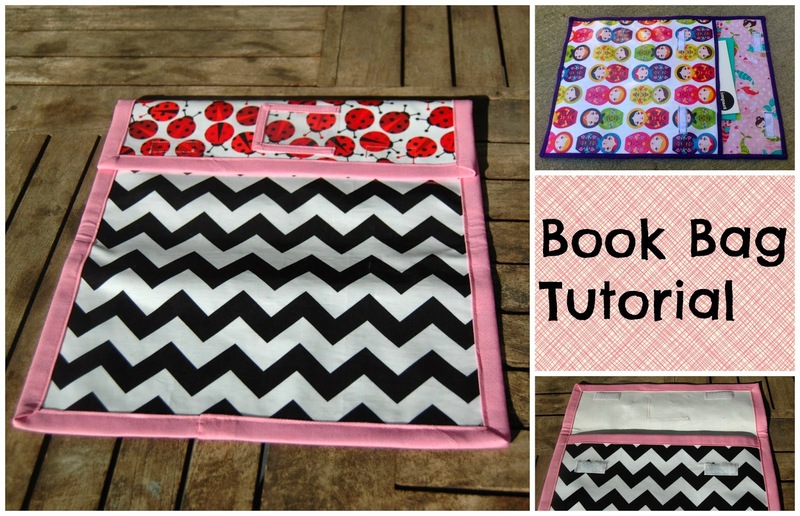 It's a great pattern for using up fabric scraps. I worked exclusively from my scrap bucket for both of these minis. 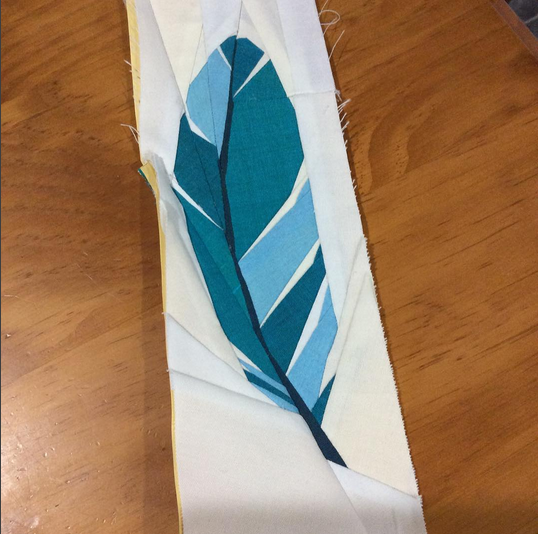 I have not personally sewn the bigger version of the feather, but I am pretty sure that it will be easier to sew than the small version. My awesome pattern testers have been working away behind the scenes as I didn't want to spoil any surprises for the birthday girls. Here are some of the 3"x12" feathers that have been sewn. 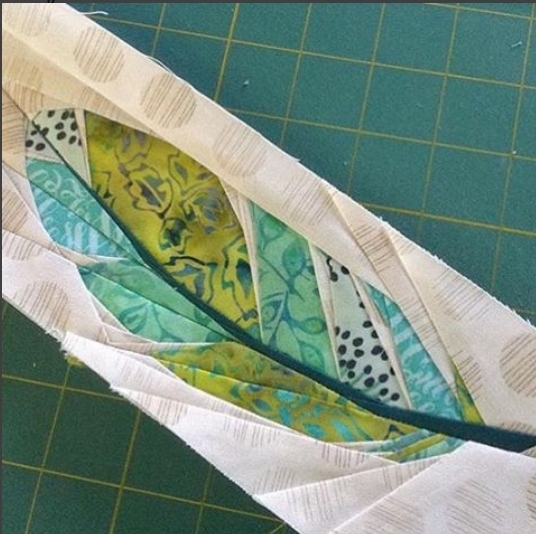 Leanne used some beautiful oakshott cottons for her feather. Kim used beautiful shades for hers. Here are some of the 6"x24" feathers. Chrissie sewed a large feather. Doesn't it look amazing in essex linen and liberty?! Patti sewed both sizes of feathers. 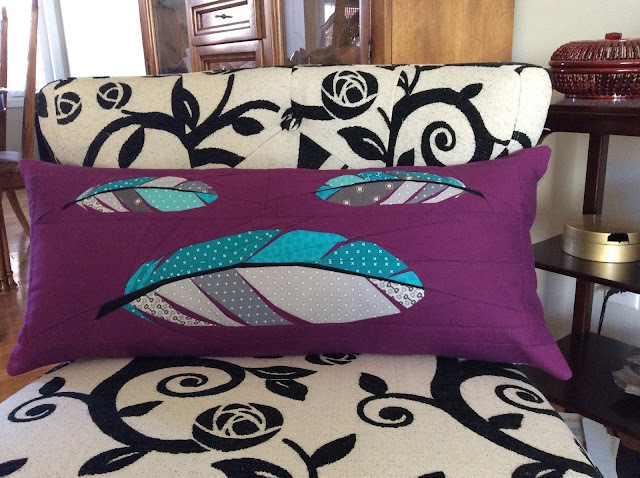 Here they are made up in a beautiful cushion. You can find the pattern in my Etsy store and my Payhip store. Those are gorgeous and I will keep them in mind once I've done some paper piecing so I've got some clue as to what I'm doing. Love these feathers! 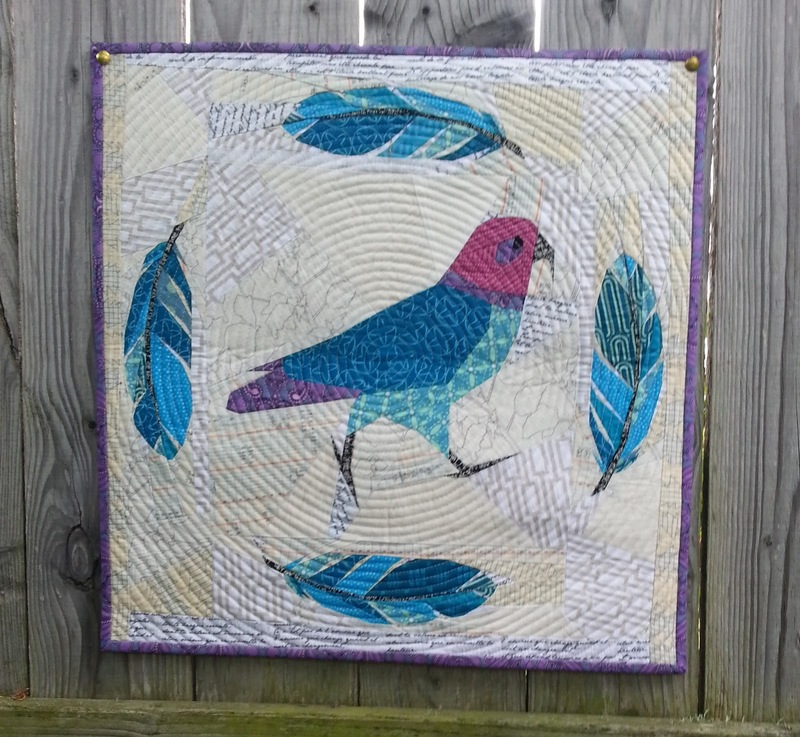 My small sewing group is doing a block exchange in 2016 and I chose feathers and then I saw your post about them! I'm making some for myself too ~ so excited and I purchased the pattern! I love these feathers - especially with your birds. Perfection. Another pattern to add to my wishlist.